We appreciate that you have been a tenant with us for several years and apologize that you are not happy. 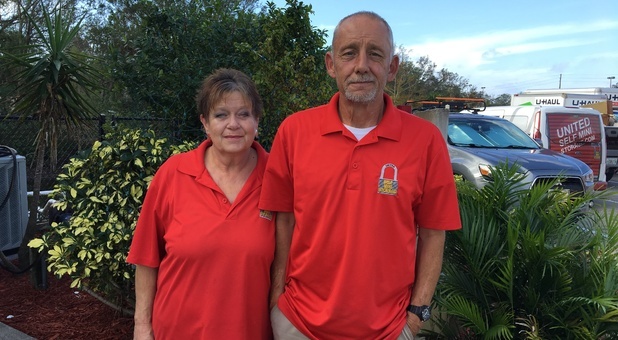 We do strive to assist our tenants in any way we can and encourage them to reach out to us if they need assistance at comment@unitedministorage.com. We did send out notices via email and certified mail notifying tenants that phone payments would end at the first of January. Payments can still be made online, in person, by mail, and auto pay. The previous manager was allowing late night access and we could no longer allow that to continue. We do have on site managers and if you need access for a particular reason, we can work with you on a case by case basis. Generally, access to the facility has always ended for the dehumidified building at 9:00pm. We do this for the security of our tenant’s belongings. Rate increases and decreases are not done every year but reviewed annually. When we do any increase or decrease, tenants receive notification 30 days prior to the change going into effect via email and certified mail. It is very important for our tenants to keep current email addresses and mailing addresses on file with the on-site managers. Please don’t hesitate to contact us directly at the email provided should you have any more questions or concerns. My husband and I rented a unit from this facility to store our belongings during a home renovation process. We utilized the unit for six months. When we picked up our items and unpacked them, the were in the exact same condition we left them in. No damage, no leaks, no BUGS! We were very impressed with the cleanliness of this facility and would highly recommend it. "the lady that runs the place is A number 1"